The Triumph 2500S was the last in a long line of Triumph and Standard-Triumph big saloon cars. Launched in 1963 at the Earl’s Court Motorshow, the new saloon replaced the ageing Standard Vanguard and arose from Triumph’s failed Zebu project. With fresh investment from new owner Leyland, who rescued Standard-Triumph in 1961, the new saloon promised much for the future of the company. And when it was launched it was well received by the motoring press and the general public. Despite the success of the 2000 series, the model ended production in 1977, making way for the executive level Rover SD1. 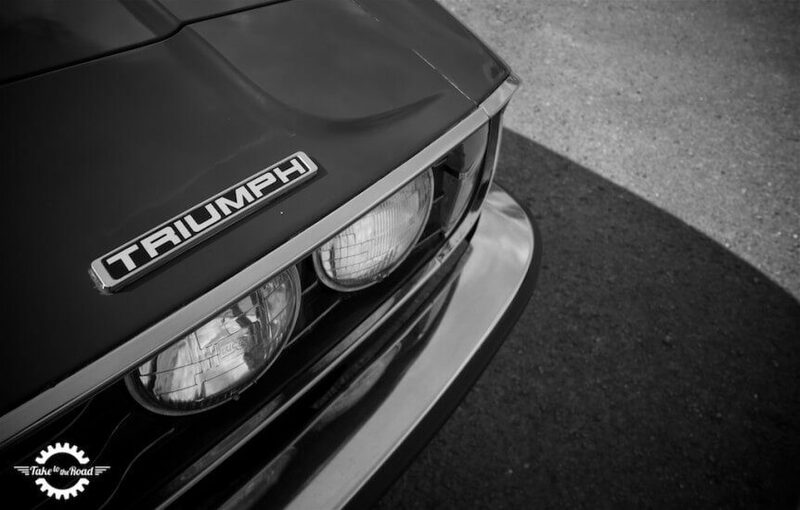 The new Triumph 2000 was keen to suggest its sporting heritage. 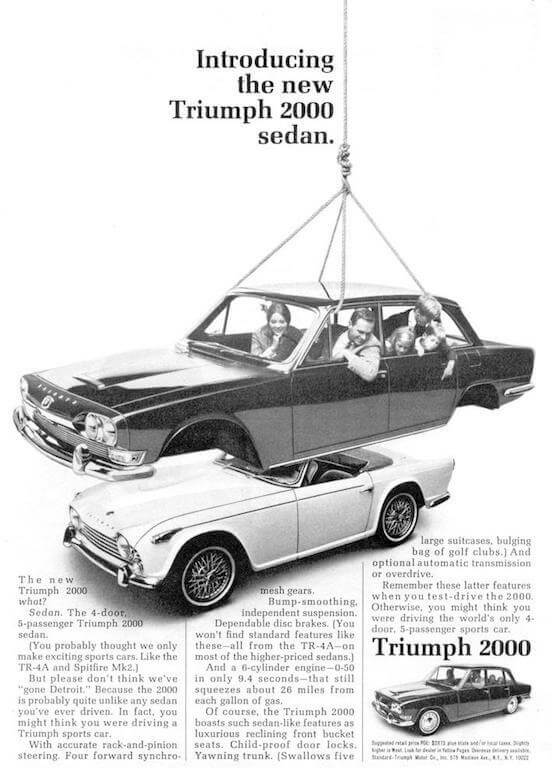 I’ve always liked the Triumph 2500S. The original 2000 was designed by the great Giovanni Michellotti and he was tasked with refreshing the model line up again in 1969. As a result the new 2000 series MK2 and the 2500S gained the same front end as the Triumph Stag. Which was no bad thing. The wide front grill, chrome edging and the four round headlights give the car a sharp and sophisticated look. Its very nice indeed and is probably our favourite feature on the car. The detailing on the front grill makes the 2500 a bit special. 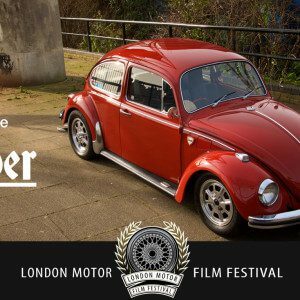 As I mentioned in the film, British Leyland’s later history was a very messy one and most cars produced under its control were tarnished as a result. 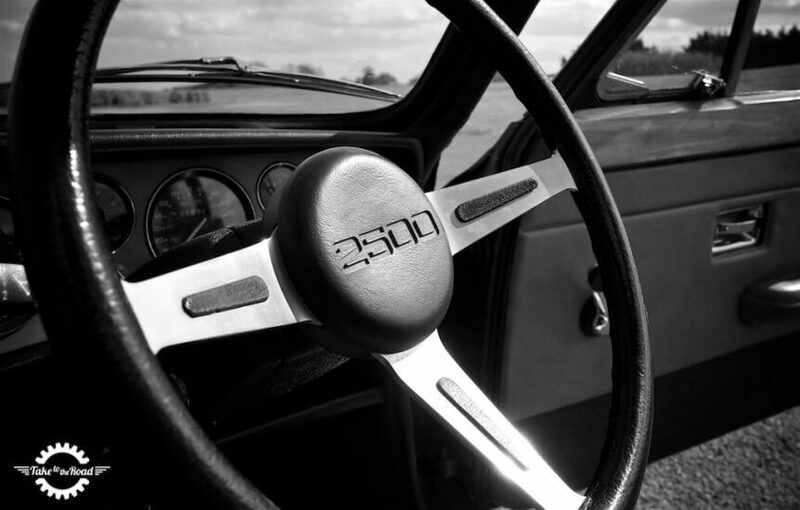 Industrial action, quality control problems, top level managerial issues and external market pressures meant the British automotive behemoth lurched from one crisis to another in the 1970s and 1980s. So unfortunately a lot of Triumph’s cars lived under that cloud, gaining a poor reputation. Which is a bit unfair really (though issues with Lucas fuel injection and cooling systems were well founded). 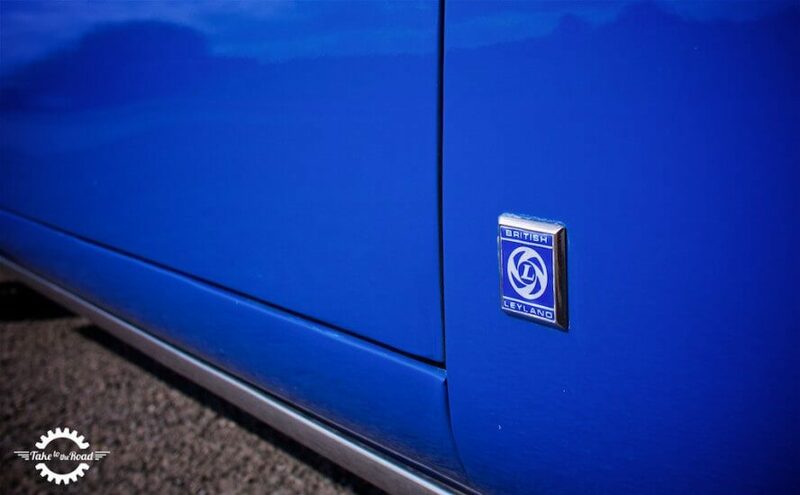 Only this small badge on both front wings tells you its a British Leyland car. 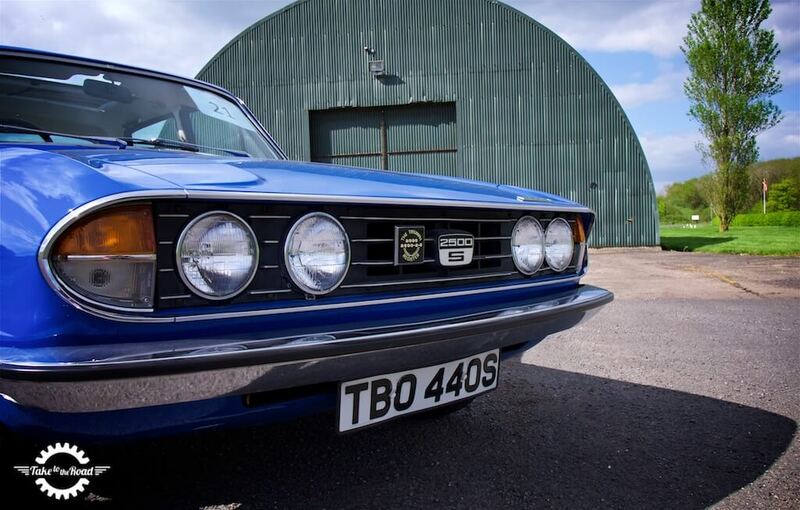 When I jumped into the 1977 Triumph 2500S at Classics Central auctions, I was of course aware of all that bad British Leyland history. So I wasn’t 100% sure what to expect. And boy was I surprised. 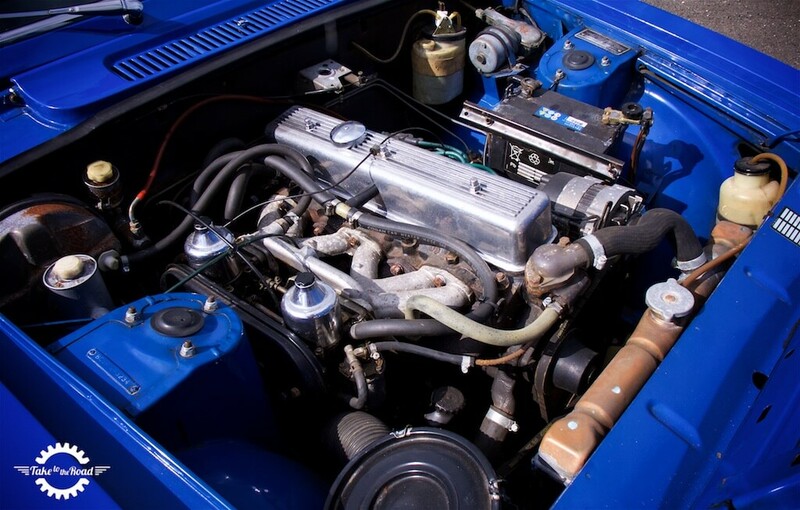 Firing up the 2498cc engine, I was met with that distinctive Triumph straight six sound. Not quite as meaty as the TR6 but this was the better of the 2000 series engines. With twin SU carbs and the manifold from the Stag, the straight six produced 106BHP, which wasn’t bad for the big saloon. By 1977 the straight six was very refined and the twin SU carbs allow it to rev more freely. 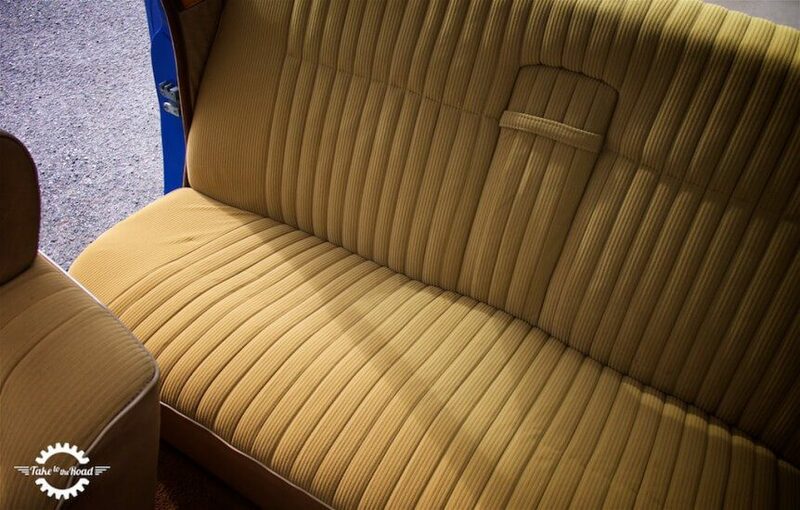 As I made myself familiar with the cars retro velour interior, I slipped it into first gear and took off. And straight away I knew I was driving a little gem. I was immediately surprised at how nimble the car felt. The steering was super light and I felt like I could turn the car on a six pence. The gear box was very slick and the clutch nice and light. And the engine, while not super quick, was peppy enough for me to work up through the gears and flick on the over drive. It was very smooth and it all felt very nice indeed. 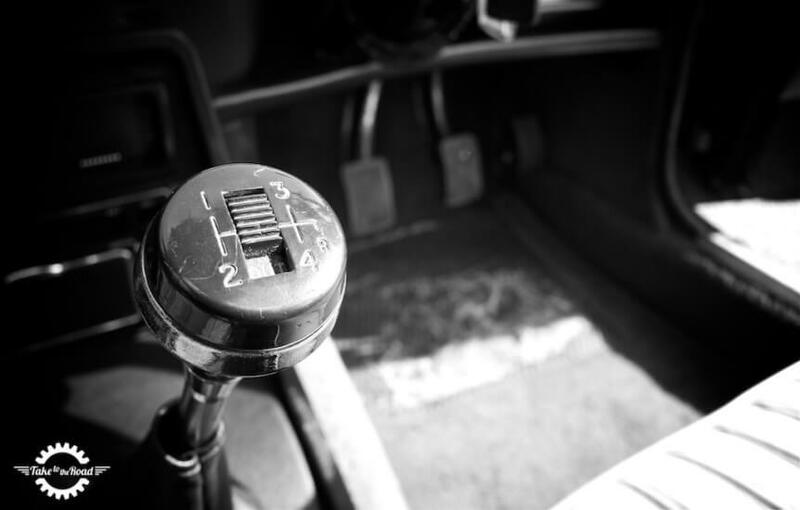 Overdrive on 3rd and 4th means refined cruising. One of the first things that actually came to mind whilst driving along was that the 2500S would make a very good city classic. At no time did I feel like I was driving a big four door saloon and it is really amazing how Triumph’s engineers managed to make a big car feel as small as a Triumph Herald. Going through the corners it was balanced, thanks to its all round independent suspension and the disc brakes worked well for a car from the 1970s. The interior is as 1970s as it can get! Going back to the interior, the caramel colour velour fabric might not have been to everyones tastes, but I think it worked well with the blue paint job. It was a bit different. All the interior trim had a nice patina to it with only significant wear on the drivers over matt, which is easy to replace. 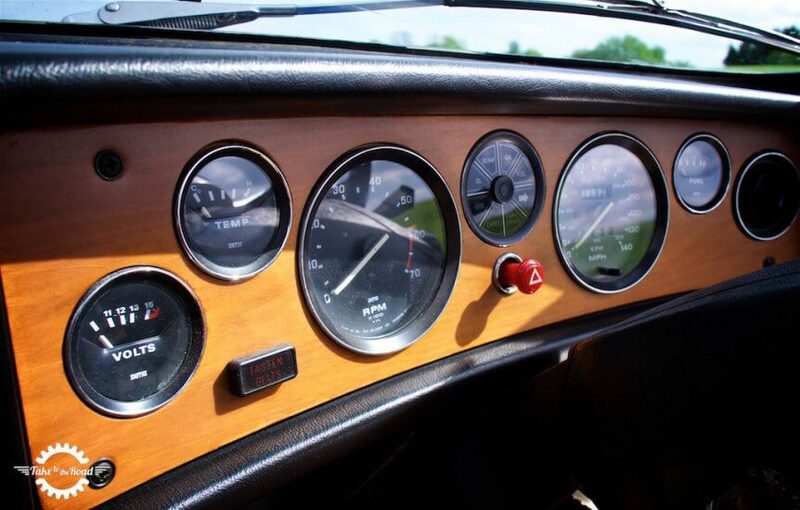 The classic Triumph wooden dashboard was in good condition and all the dials and gauges looked very familiar, appearing of course in the Triumph Stag. The steering wheel was a nice size and the numbers in the centre boss reminded me I was driving a 2500. There was also plenty of room for rear passengers and the boot was a good size. This was a very practical family car back in the day and makes for a very practical family classic runabout today. And the webasto sunroof just added to the charm. 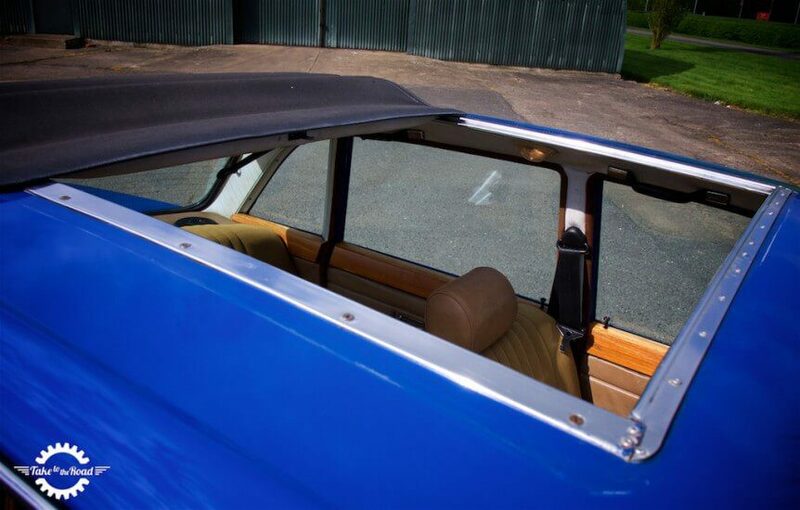 The UK’s weather might be unpredictable, but when the sun does come out, a full sun roof like this is a great feature. The steering was nice and light to use. The wooden dash was in good condition and had a nice patina to it. The full sunroof was a great bonus. Without doubt this Triumph 2500S was one of the nicest classics I have driven to date. It was really good to drive and lots of fun too. It really had everything going for it. The body was fresh after what appeared to be a recent repaint and it sat very well on it’s dark grey Minilite alloy wheels. That colour might not work for some but I thought it contrasted well with the blue coachwork. Obviously being a Triumph it wasn’t perfect and after all it was 39 years old. So some of the interior trim rattled and squeaked a bit. And the rear view mirror was a constant blur as it vibrated away as I drove along. So it was lacking a little refinement. But these are the quirks and characteristics that are all part and parcel of owning a classic car. 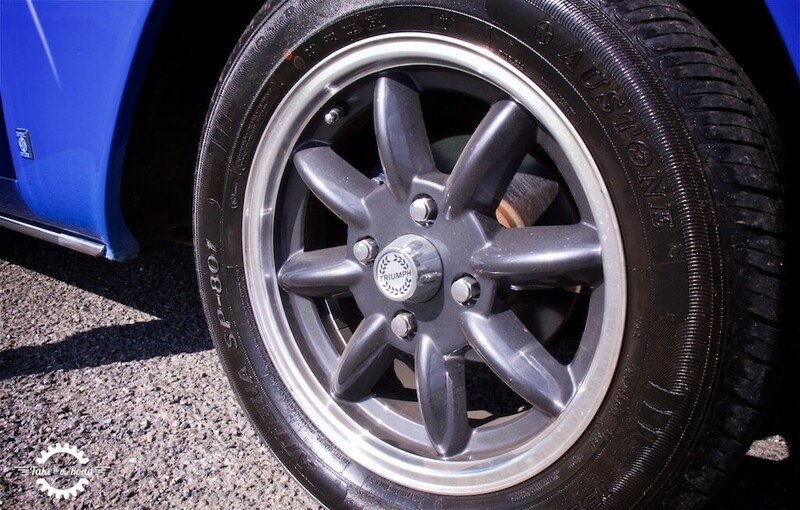 The up-rated wheels gave this 2500S a more modern look. If you are looking for a practical four door classic that’s good to drive, then I’d would happily recommend a Triumph 2500S. It really is brilliant and deserves much wider attention than it gets. Parts availability for these cars is very good and there are plenty of upgrade opportunities thanks to the range of performance bits out there for the GT6 and the TR6, should one wish to go down that route. But to be perfectly honest, I thought this Triumph 2500S was just right. It really did put a smile on my face. And that’s a problem. Why? Because I really want one now! 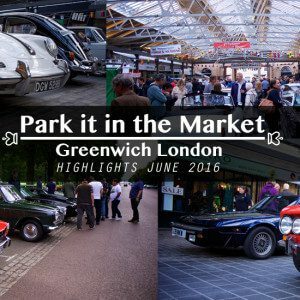 More details on Classics Central Auctioneers can be found on their website. That swap will require more that a manifold swap 😉 Its not for the feint hearted! It can be done though as the V8 was always intended for the TR7. You just need to find a good Rover or Triumph V8 engine.